Here in Oregon we have a pretty down right spectacular fall, since we have hundreds of varieties of deciduous trees here, including many varieties of gorgeous maples. The leaves are just starting to change and there is now a bit of a chill in the air, along with the site of local apple trees laden with apples. It’s such a great time of year, though I do find it to be bittersweet, knowing that we will be going into our rainy season before too long. 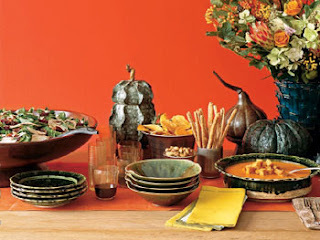 Still I am embracing the fall and plan to do some decorating this week! 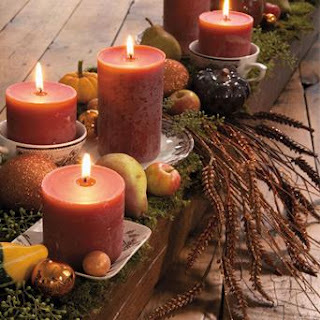 Candles are always a must for this time of year, I like to use a variety of pillar candles, the apple, spice or pumpkin scented are perfect at this time. I place them on plates or tray and then surround them with moss, pine cones,pods cinnamon sticks, mini pumpkins or other fruit. This really makes for a gorgeous, fragrant display! Wreaths are another favorite of mine, last Spring toward the end of the blooming season I cut back my hydrangea bush and dried the blossoms to be used in bouquets and a wreath. 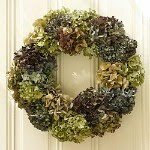 All you need for this wreath is a grapevine wreath, dried hydrangea blossoms and a hot glue gun. You simply just glue the hydrangea stems all the way around the wreath and you’re done. It can be displayed on your wall or a door. 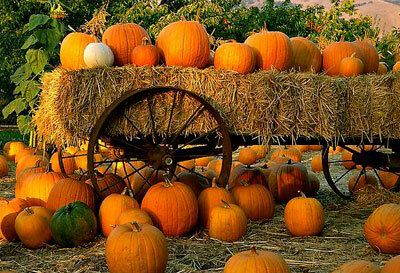 Pumpkins and gourds, always fun and festive! I like to buy a few in different sizes, the smaller ones to be used as a table display, along with a colorful table runner and the larger ones for the front entryway display. Pillow and throws will help spice up any room, it’s fun to add a nice fall colored throw to your couch along with a couple of seasonal throw pillows, this is really an inexpensive way to make a quick and beautiful change to your room. Sweet post and nice pics! I love your hydrangea wreath! You really make it happen Cyd. Fall can be such a wonderful time:-) I love your decorations!